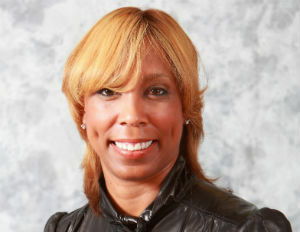 Kimberly Blackwell is the founder and CEO of PMM, a brand strategy firm that provides creative services, marketing, media relations, reputation management, event production, interactive and new media, communications and agent representation services. Last November, PMM was named the 2013 Minority Business Enterprise of the Year by the Ohio Minority Supplier Development Council. Blackwell was featured in Black Enterprise’s “40 Rising Stars 40 and Underâ€ list. PMM was chosen to represent TourismOhio in promoting Ohio’s attractions and destinations to the multicultural audience. The agency works with a variety of clients, including Nationwide Insurance, Macy’s, Dell, Huntington National Bank, and the City of Columbus. Embrace Your Power: The Moment is Now! Attend the Black Enterprise Women of Power Summit hosted by State Farm, Feb. 26 to Â­March 1, 2014, at Boca Raton Resort and Club, a Waldorf Astoria Resort, Boca Raton, FL. This exciting, executive leadership summit is designed to train, equip and encourage women to become industry leaders, learn career strategies, and discover proven workÂ­-life balance techniques. Register today!